Lassen Tours recently sent me on an exciting 7 day tour to Yosemite, Las Vegas, the Grand Canyon, Los Angeles, Disneyland, and Universal Studios! Read on to get a first hand look on what it’s like to be on board a Lassen Tour! 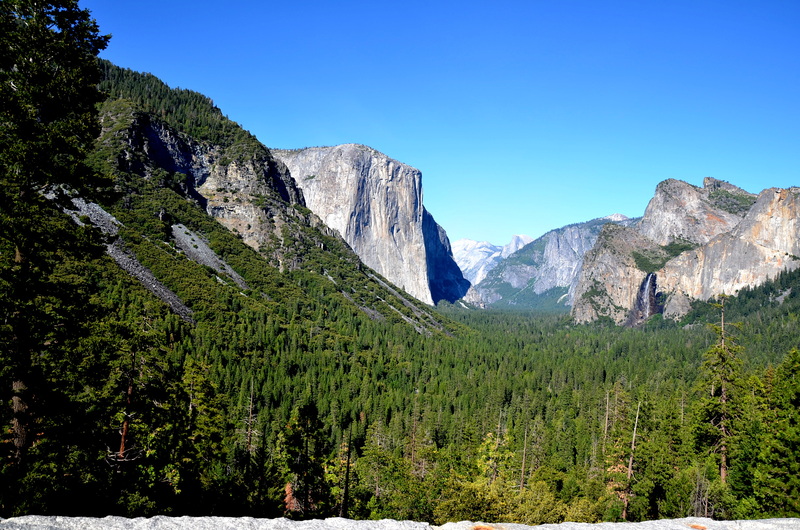 Yosemite is a must see destination for any adventurer, nature lover, or fan of national parks. The beautiful waterfalls, rock formations, and forests is enough to impress travelers from all over the world! Our first stop in the park offered us great views of Bridalveil Fall, Horsetail Fall, and the massive rock formation, El Capitan. Our well-informed guide let us know of many of the most interesting facts about the various sites and the history of the park itself. Our next stop was at the very popular Yosemite Falls, the highest measured waterfall in North America! The tour bus dropped us off and the group had a great time exploring the area on our own. 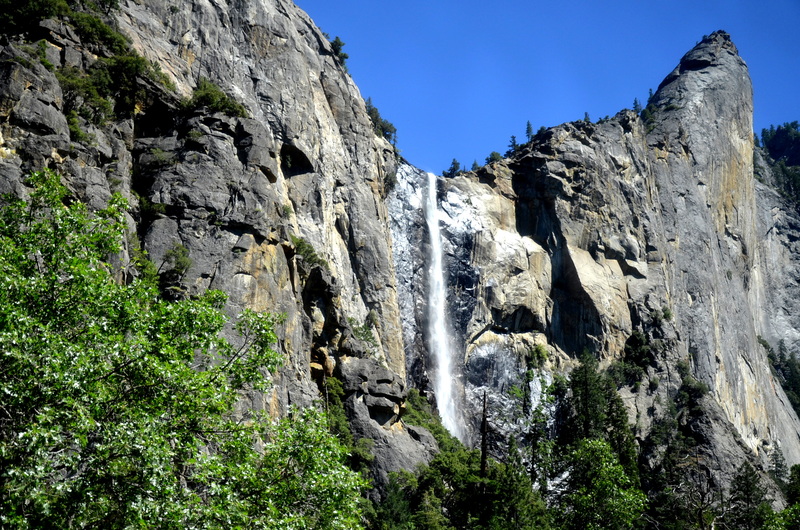 Upon walking to the base of Yosemite Falls, I found it sprawling with tourists taking pictures, relaxing with the view, swimming, and even climbing the boulders to get even closer the falling water! After departing from Yosemite Falls, the tour bus drove us to one last Yosemite destination: the Tunnel View lookout. This lookout point grants visitors a magnificent view of the Yosemite Valley from above and is well known as a great spot for taking photos! In all, we spent about two hours in the park. In that time, our group saw all of Yosemite’s most famous landmarks and had time to take plenty of pictures. 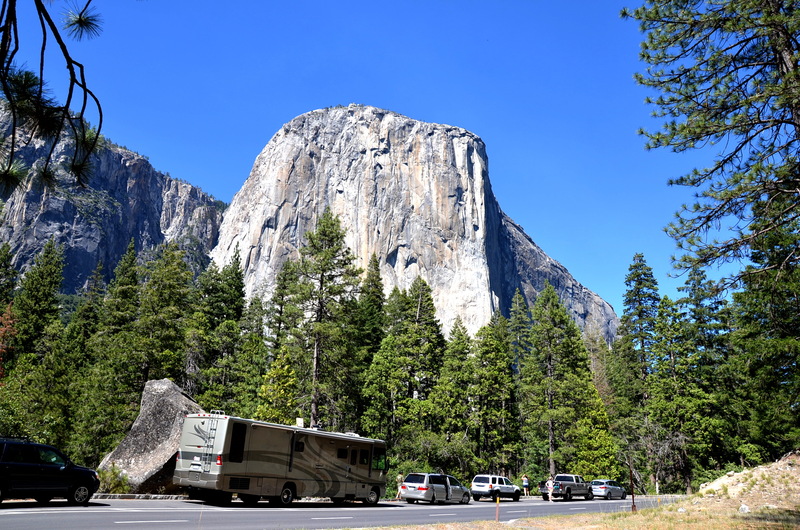 After our time in Yosemite, we all found our seats in the comfy, air conditioned bus, enjoyed watching a documentary on the park’s bears, and headed to dinner and our hotel for the night. The next day, we would have a long drive ahead of us as we made our way to Las Vegas, Nevada! For more information on Lassen Tours, visit our website at www.lassentours.com. Also, like us on Facebook for your chance to win 10% off of your next tour with Lassen! This entry was tagged travel, Tunnel View, Yosemite, Yosemite Falls, Yosemite National Park. Bookmark the permalink. ← Enter Our Contest to Win 10% Off Your Next Tour!